Recent events over the last few years in Britain have proven that regular maintenance and inspections must take place on high rise buildings whether they be residential or commercial. In fact, the bigger the building or property, the more import it is to conduct high level building inspections necessary in order to keep everyone safe, but also in ensure no further larger problems develop. High level building inspections involve close inspection, not just of the materials and the structure, but also the cosmetic appearance of a building or other man-made features. For example, if a building is listed or has a feature which is a recognised landmark, such as a company sign or piece of historical architecture. In order to get close enough to inspect the property adequately, high rise abseil building inspections are needed. We employ the necessary tools and provide the trained team members capable of rope access high level building inspections, so that the task can be completed without the risk and cost that is usually involved. Without the use of rope to give suitable access to the building under inspection, scaffolding may be needed which is costly to purchase or hire, and time consuming to erect and disassemble. Ladders involve a lot of unnecessary risk and are not recommended for the regular extensive high rise inspections required. 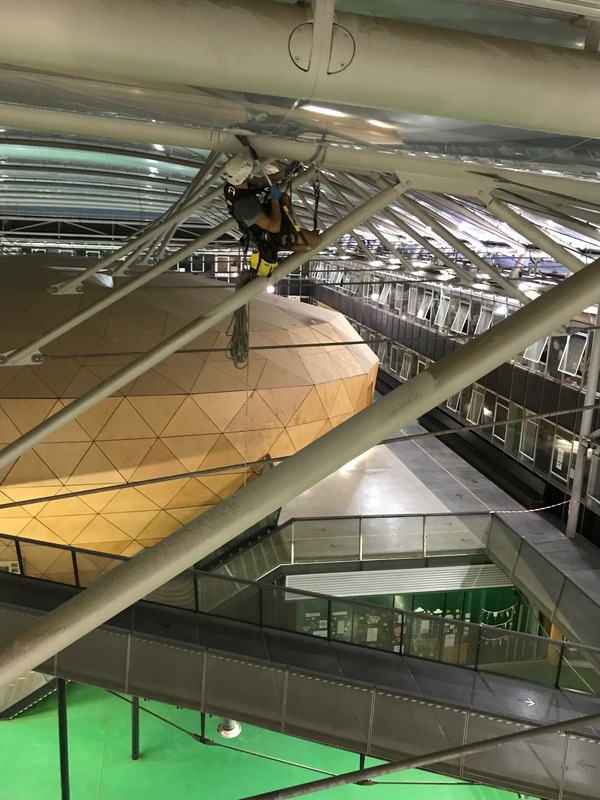 Apex Access Group make use of professional abseil equipment for rope access and MEWP (cherry pickers) for inspections and maintenance work of all kinds. Our rope access technicians are trained to IRATA (industrial rope access trade association) standards. Whatever your project may be, we have the expertise to support you through to its completion in a safe, cost effective and professional manner.